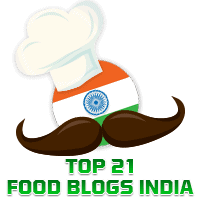 I have always admired Anjana Chaturvedi's presentation of her recipes and the wide variety of dishes she has in her popular blog, Maayeka. As a mother with a married daughter myself, I can relate to how Anjana started this blog. A hallmark of her blog is that all the recipes are made without the use of onions or garlic. She readily accepted my invitation to contribute a guest post, for which I am grateful. 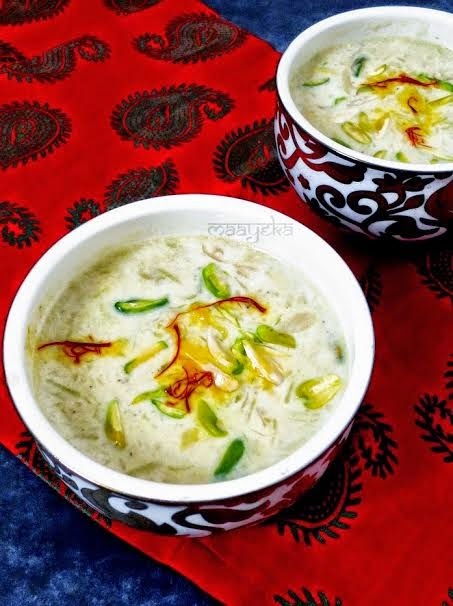 She wrote, "Thanks for inviting me as a guest blogger, I am happy to share bottle gourd kheer with your readers. Hope your viewers will like this healthy and delicious kheer." Thanks, Anjana. I am sure they will! Boil milk for 10 minutes in a pan on low flame. Peel and remove all the seeds from lauki. Grate it with a fine grater. Add grated bottle gourd in it and stir fry on medium heat for about 5 minutes . Add milk in the bottle gourd pan. Simmer for about 30 minutes,keep stirring in between. Now add sugar and chopped nuts and simmer for 10 minutes. Switch off the flame and add cardamom powder. When kheer cool down completely then add rose water in it. Garnish with saffron and few chopped nuts.